By how much have US truckload rates increased since the start of 2005? For the past many years, for my last First Thoughts column of the year I have generally been oscillating between my versions of "A Supply Chain Christmas Carol" and "Twas the Night Before a Supply Chain Christmas," updated as appropriate from year to year. Just once I decided to compile a supply chain Christmas list that I hoped Santa might deliver in the coming year. So I decided to offer that list again here in 2016, with frankly a couple of holdovers from that original 2012 list because frankly Santa still hasn't come through (maybe I am on the naughty list?) and well as some new ones. 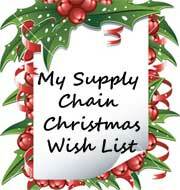 It is a short list, but think would have a major impact if Santa could somehow fill up my supply chain stocking. You don't have to go to many events to figure out who the frequent contributor companies are. I wish we had more recognized supply chain thought leaders. Quick, if I asked you to name the top thought leaders in supply chain right now, whom would you cite? It's not easy, is it? Isn't something not quite right with that? In many disciplines, for example IT, there are many recognized thought leaders who regularly are the keynote speakers at major industry events. I don't think supply chain has ever reached that level of star power, but I think 15 years or so ago we did have more recognized supply chain pundits. What's the issue? I am not completely sure. A once healthy corps of thought leading academics seems to not have been replaced with a new cohort of equal thought leadership (agree or disagree?). 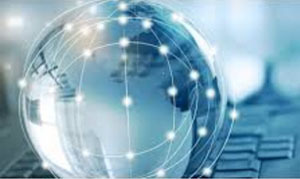 Supply chain executives, with very few exceptions, either don't wish to or are largely prohibited by their companies from being regular public faces. I wish we could more regularly hear what they are thinking. The supply chain practice leaders of major consulting firms, for a time often out in front of supply chain trends and opportunities, have now largely gone underground – I actually know whom very few of them even are, and that didn't use to be the case. 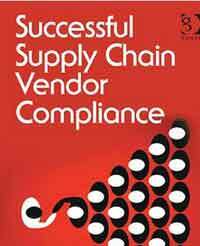 As an example, who currently heads Accenture's giant supply chain practice? I don't know, and doubt most of you do either, compared to say the years when the late Bill Copacino was consistently providing thought leadership when he was in that role. Finally, there has been consolidation among industry analyst firms, reducing the pool and competition, while it seems that among those still standing the systems no longer really develop "stars" in the same way they used to. And it seems to me technology vendors aren't producing thought leaders the way they use to either (think Alan Dabbiere at Manhattan Associates, or Sanjiv Sidhu at i2, in their days). On a somewhat related note, I wish a lot more supply chain academic research would be truly useful. We have a lot of really smart supply chain and logistics academics, and I know many of them personally. But far too few of them are using those talents to produce research that is of practical use to supply chain professionals. It is often almost unreadable except to other academics, if then. This was on my original list a few years ago, but I was reminded of the wish at the CSCMP conference in Orlando this past September, when 2016 Distinguished Service Award winner Chris Caplice of MIT offered similar thoughts. Yes, I understand this is far from unique to supply chain, and indeed is probably the status in virtually every academic discipline. I also get the whole "public or perish" thing in academia. However, at many if not most supply chain departments an academic would actually get more credit for tenure or promotion for some abstruse paper in a journal none of us recognize or would want to read than for an article on supply chain that was published in the Harvard Business Review. This is crazy. I discussed this topic with the late legend Dr. Bowersox of Michigan State a number of years ago, and he told he knew of one excellent academic who wasn't hired at a prestigious supply chain program because his research was deemed too "applied" - meaning practical. We can do better, can't we? We are collectively losing so much opportunity. I wish that more companies contributed presentations and case studies at industry conferences. Here is the reality: there is a clear 80-20 rule here, in which a small percentage of total companies wind up carrying the majority of the industry load. Of course, I get the issues with opening the supply chain kimono, and companies are understandably reluctant to share what they believe are competitive advantages. But let me in on a little secret: employees change jobs, vendors and consultants talk, etc. Your competitors already know what you are doing. It's the rest of is that need enlightenment. You don't have to go to many events to figure out who the frequent contributor companies are. From my perspective, in recent years those include Caterpillar, Intel, Pepsico, Mondelez International, HP, IKEA, whom else? If you have a company to point out for their regular contributions or want to toot your own horn, please let me know. We all owe these frequent contributors a debt of gratitude, and we really couldn't have these conferences without them. We need more companies in the supply chain presentation boat. I wish supply chain media and conferences focused more attention on the supply chain needs and opportunities for small and medium sized companies. For a variety of reasons, the publications and the conferences tend to focus on the large, well-known companies, due to that name recognition. But the reality is there are many times more small and medium sized companies than there are Fortune 500 firms, and collectively (including SCDigest) we don't in my opinion do enough to serve them. In talking about this with a good and well-known friend a few years ago, he noted that big company supply chain challenges are usually just a lot more interesting than those faced by smaller firms. I agree with that, but at the same time, how those challenges were solved by large companies are often not relevant to SMBs. Do you agree that articles and events need more balance to address the supply chains of small and medium size businesses? This is something SCDigest at least can address in some way, and I am working on some plans to do so. I wish I better understood what makes "advanced analytics" different from regular analytics, and "big data" different from all the data we've had for many years. My friend and SCDigest columnist Dr. Mike Watson has explained the analytics thing to me before, but I need to hear it again. I actually have some insight into both these questions, but in general would say few throwing out the terms make the distinctions clear. Finally, my 2016 supply chain Santa list includes my wish that the experts saying that the rapid advance of robots in and outside supply chain really won't result in a mass net loss of jobs are correct. Those pundits say automation always creates more jobs in the end than it kills, even if those jobs are not the same as in the past. Surely there will be some of that in this new robotics era, but I am very concerned it will be different this time, especially as the software robots replace white collar jobs, and the physical robots advance according to Moore's Law levels of improvement. We really have no idea where this is headed. On that cheery note, a Merry Christmas or other salutation of choice to all SCDigest readers. Lots in store for 2016. We're off for two weeks for this newsletter, but the home page will be active with news, and we will be back the first week of January with our 2016 supply chain review. Look for Jim Stephens and I doing Twas a Night before a Supply Chain Christmas this Monday on our Supply Chain Video news. What do you think of Gilmore's Christmas list? What is on your list? Let us know your thoughts at the Feedback button below. Lots of Feedback from Dan Gilmore's First Thoughts column on The Trump Supply Chain?, with his analysis of what we can likely expect in terms of supply chain impact from the Trumpster. A few of those below, more in coming weeks. There were quite a few. I'm an Ohio guy too. (Dayton). I grew up in Michigan as one of six kids of a Chrysler engineer, and a school teacher. I graduated from college in 1975, and began my sales career in industrial safety equipment with a company that had been in business since 1883. Several things have happened since I was a teenager north of Detroit. The 'Big Three' auto manufacturers poo hooed the import invasion. Saying import quality was not as good. Oil prices were not a concern. That changed with the oil shortages of the 70's, and increasing quality of imported products. On the labor front, people forget that during the forties and fifties, union and management clashes were frequent. And, gains won by unions were extended the salaried workers as well. My Dad knew that if it wasn't for the union wins, salaried and employees at non-union companies, would not have things like company retirement plans, health insurance, paid vacation, and 40 hour work weeks. After winning a big auto company contract (early 80's), my boss and I were invited to tour a Midwest plant. A VP from the company gave us the grand tour. He was sure to point out the efficiency of their new robots. And, the fact that they didn't have to pay benefits or healthcare, cool and heat the plant as much, and didn't have to worry about employee (aka union) grievances. When he finished, my boss said, "That's great. But tell me, how many of those robots are going to buy the cars they just built?" Over the last thirty years, companies have based all of their decisions on increasing shareholder value. As the global market grows, Companies like P&G and Emerson Electric expand overseas for a variety of reasons. Cheap labor; lax, or nonexistent safety and environmental regulation; ability to sell in the company they manufacturer without import tariffs; and close proximity to a population of billions with a growing middle class demand. But I digress. I sold safety equipment in the Midwest for one of the top three manufacturers in the country. I had contracts with everyone. AK Steel, P&G, GE, Ford, GM, Chrysler, NCR, IH, Honda, and yes, the tire companies too. As they moved overseas, or moved to robotics, the market for personal safety equipment tanked. So, being in the birthplace of barcoding, and having a bit of experience with the fledgling PC industry, I switched to the barcode industry. My contacts with the big manufacturers made it easy to transition. I sold to all of the GM plants in Dayton, NCR, Reynolds & Reynolds, Standard Register, Emerson, P&G, NCR, AK Steel, Mead, and on, and on. As you know, in the beginning of the industry, companies and their workers had to be educated on the technology. When I would do an automation project for a company and be dealing with the rank and file shop floor, or DC employees, the company line was, "This will make your jobs a lot easier, and make you more efficient". However, behind closed doors with management, a question that almost always came up was, "How many people do you think this will allow us to eliminate?" Again, the increase shareholder value mantra. Do you remember the Takata plant in Piqua? In the 80's, I was doing a small project with them. I was there on a Wednesday, and told the plant manager that I'd be back Friday with demo equipment to show them. He said that would be great. When I got there Friday morning, the plant had been closed, and all of the production had been moved to Mexico. The plant manager hadn't even known it was going to happen. There is a plant that makes automotive parts on the West side of Dayton. (I can't remember the name). They were a safety and barcode customer of mine. They went from 480 employees, down to about 100. Production was moved to China. About four years ago, and Jon Boehner was interviewed by one of the local TV stations in the plant. The plant manager told the reporter that the only reason they weren't shut down completely, was because they were needed as emergency backup when Chinese quality, or shipment reliability failed. When Boehner was pressed for a comment on what he thought about it, he replied, "We don't want to make them mad." Fuyao is a customer. Their locating to the U.S. is great news. All of the big press as a 'win' should be tempered by the fact that the vast majority of 'employees', are contract employees, and do not actually work for Fuyao. A former customer in Eaton, Neaton Auto Parts, hires entirely through Staffmark. DMax, (or Tenneco - I wasn't watching closely) was recently on the news touting their need for 400 employees. The person being interviewed said that these were good jobs, and the starting pay was eleven something an hour, and in three years, you could get up to over thirteen dollars. Really? Foxconn has 10,000 applications a month. (I believe I may have that wrong, and it's actually per day). 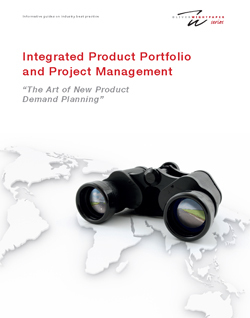 We are seeing the production environment of the late 1800's, and early 1900's repeat itself. When the government tells a manufacturer that they won't extend tax breaks to VW in Tennessee if they vote in a union, it's very clear where we're headed. Obama has done more to combat unfair trade than any President before him. Tariffs will further encourage companies to make, and sell, their products overseas. My former safety company now has no U.S. manufacturing, their industrial division is closed, and their retail products (rainwear, gloves, and boots) are now sold at Ace and Big Lots. I even had a former Dayton customer you might know (Shore to Shore Merchandise Identification - since sold). Tried to buy Zebra printers from me when I worked for a master distributor. These were going to various overseas countries. Zebra told them that the only way could get service on them was to buy them where they were being installed. An international hospital chain that is a customer, buys scanners in England and ships them to their U.S. facilities, because they are sold at lower prices. U. S barcode equipment manufacturers routinely sell scanners in foreign countries at lower prices than the U.S. Even Wal-Mart touts their 350 million dollar "Buy American" campaign. That's laughable. To the unsuspecting public, that's a great PR stunt. They think it's a lot of money. To Wal-Mart, it's the equivalent of loose change in their couch. Thank you for your great article "Trump Supply Chain". I am an industrial and supply chain engineer / consultant as well as an inventor and I have a dream/vision that I have been focused on since 2008. So I believe in what Trump has been discussing regarding manufacturing, trade, de-regulation, energy and beyond. One big reason is because I have worked with so many companies in supply chain consulting over the years and seen the changes and have been able to see what is going to happen in the future. Part of industrial engineering is forecasting. Also, when you are responsible for supply chain strategy for companies and looking out 5, 10, 15 years you have to know the past, understand the details and the model the future. As an inventor, I have experienced the Chinese trade "cheating" personally. Also, I have seen the major changes in the last few years in USPTO laws that make it extremely difficult for innovation in America. This is not what America is about. Other countries do not try to keep minds from moving forward and producing products. One of my certificates is in computer integrated manufacturing systems. My degrees are from Georgia Tech and back then we focused on high quality manufacturing in America. Times changed too quickly. I do believe with "right to work" states increasing and with more use of industrial engineering methods and standards along with major advancements in supply chain that manufacturing costs can be decreased enough to bring manufacturing back to USA and increase what is already here. Many existing manufacturing companies are using parts from China or other countries, where they could be made in USA. For example, I am working on a big invention project and we want the entire invention (lots of products) to be made in America. However, a major component is a complex electronic circuit board and more. It is very hard to find a company in the USA that can create this high volume. This frustrates me given our great colleges across our country. I believe that in electronics you need EE's, managers and then workers that are trained. Of course you need the special equipment along with quality testing. The first company to start this at high volume would be a winner. Hmm, if this company decides to start the business in a empty manufacturing facility in a poverty stricken area where people need a job and need to be trained. Wow, that would be a winning company and a change in our country that would start a domino affect. Also, it is about competition. We have so many people that need jobs. We have so many empty buildings in so many locations that are in prime locations from a logistics standpoint that help supply chain in multiple ways. Companies can collaborate in ways to lower costs. Well, which ones want to collaborate, which locations want to improve their environment to attract business. Who wants to work. The list can go on and on. I have a documentary that is not only about manufacturing but also about retail. Overall it is about Freedom from the problems in which Trump discusses, retail e-commerce loss to Amazon, inventory problems and costs, labor issues, poverty stricken areas without work, high crime rate, system duplication, duplication of the same work / non-communication, and so much more. I am a prayer warrior and I am praying for Trump, his decisions, and who he chooses to work with him. I am also praying for America, all Americans and for a miracle to happen in a way to somehow unify, like Trump said. Other nations watch USA so much. So when great things happen here, eyes are opened and great things happen elsewhere. I believe there will be some changes but they will need to be regulatory, with some amount of flexible controls written into the rules. This being said; a balance should have been used with the movement of manufacturing on the way out of the U.S. Do not know if it can be accomplished now, but it is something to think about. I am sure HR Supply chain Analysis would have allowed for the balance to consider the downsizing of industries desired by government, which would have allowed the country to develop and train the next generation for the industry shift. Example: The People analysis was never done, there should have been one. You want to retire an industry in order to improve the focus of U.S. professional services offered to the world. Then use numbers, increases and reductions that consider the rate of people attrition in the industry, for a result that gives the smallest citizen impact. Of course this requires that industry and government work together. Q: By how much have US truckload rates increased since the start of 2005? A: About 25%, according to the Cass Linehaul Index, which tracks US per mile truckload rates. That equates to an annual increase of about 1.8% per year over the full period, below inflation.